Many of you have probably heard about home energy monitoring devices and I’ve seen my fair share over the years. Most are hobby type products, that are invariably difficult to install, unreliable and do not show accurate electricity costs with network charges, let alone real-time energy use and solar savings. And then, there’s expensive add-on monitoring systems provided by some inverter manufacturers and energy retailers that monitor solar output, but don’t show actual ROI savings in dollars and often require an ongoing subscription fee. Given electricity distributor Ausgrid reports 51% of solar systems are unreliable, the need for independent, cost effective and reliable solar monitoring has become a vital necessity. 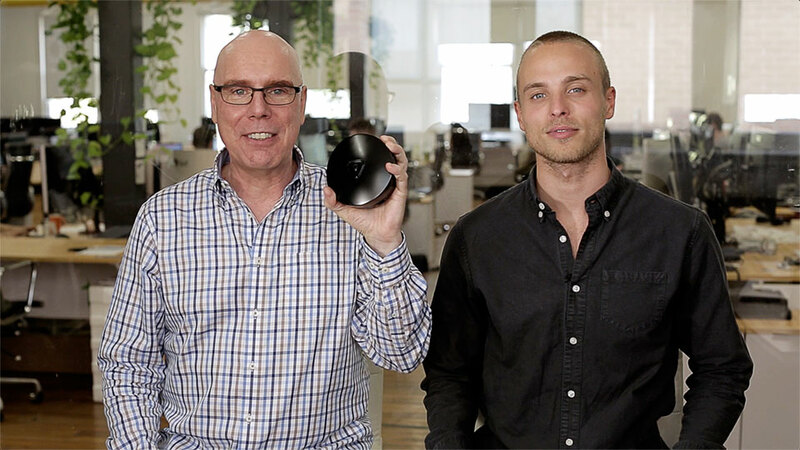 Today, I’m here to review a new kind of energy monitoring system that will very soon be on the market. 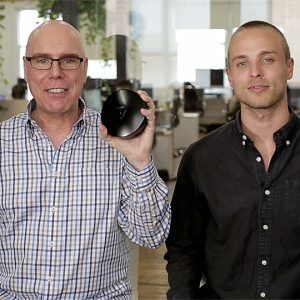 Wattcost is an Australian company, that describes their innovative AI-based technology as a consumer product that “makes your home energy intelligent so you always pay less”. In a recent case study, Wattcost claimed a saving of 32% on home energy bills including other smart features that one would expect to see out an episode of Star Trek! I’ve had Wattcost installed on my solar system for 10-weeks, so how does Wattcost really stack up? What’s in the Wattcost for Solar product box? Inside the neatly presented recycled packaging, is a circular device called the “Beacon”, one stick-on meter sensor, two click-on circuit sensors, stick-on WiFi antenna with 3 metre cable, four C-size alkaline batteries, product booklet and a USB-power cable for the external power option. The Wattcost guys took the time out to install the Wattcost for Solar product at my home. They recommend installation of the solar product should be carried out by licensed electrician, as the two circuit sensors are clamped around electricity cables usually found behind the electricity meter panel. For non-solar homes it looks like a very simple DIY install with the “stick-on” electricity meter sensors. I could immediately see, the Wattcost team have really thought through the product installation. 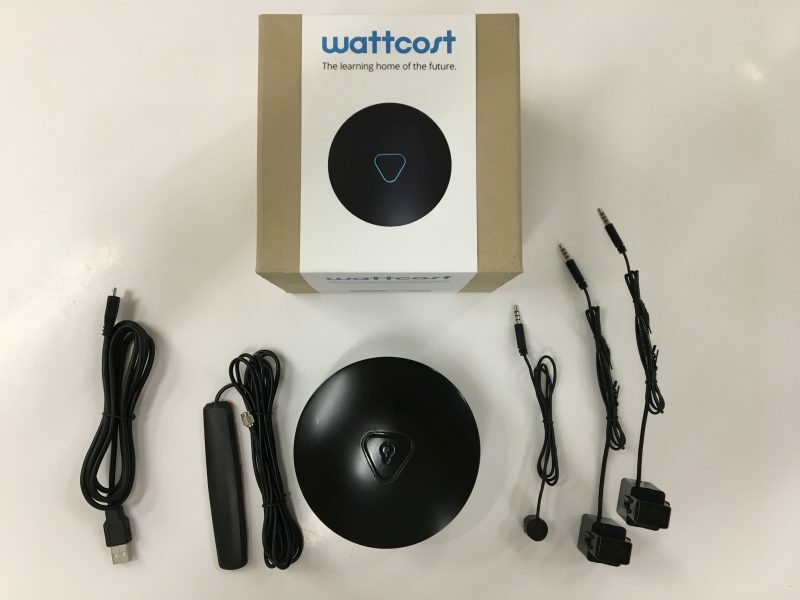 The Wattcost iPhone and Android-compatible smartphone apps, simply guide the user step-by-step through the entire product setup, connecting to WiFi and installation process. After I downloaded the Wattcost app on my smartphone, it asked me to create a user account with unique password. The app steps through a combination of images to show how to identify and connect the sensors and antenna cable, insert the batteries and connect the Beacon over WiFi to communicate with the app.The Beacon automatically detected the connected sensors and assigned them to predefined solar metering roles of PURCHASE, CONSUME and GENERATE. Apparently, the system automatically calculates the amount of solar exported (SOLD) to the grid. The next step, was to select my electricity tariff and solar feed-in plan from the list of electricity suppliers and tariff plan codes (found on the back of my latest electricity bill). The Wattcost guys said they expect to have every published retail tariff plan in Australia available at launch, so that users can see their real-time import and export, historical and forecast electricity use and savings in dollars, watts, kWh and CO2-e. The app instructed us to secure the Beacon with its double-sided tape onto the meter box panel, and stick the WiFi antenna onto a nearby window. However, as the antenna has a 3 meter cable and app shows the live WiFi signal strength, Wattcost have made it easy to find the best location to mount the antenna for best WiFi network connection. Mine was on a plastic water drain pipe! The installer is instructed to turn-off the house mains and solar inverter master breaker switches while installing the two “click-on” circuit sensors around the positive electrical cables from the solar inverter and master house circuit leading to the fuses. Finally, the app shows how to mount the “stick-on” sensor onto the flashing “Whr” indicator light of the meter display to accurately capture electricity purchases. Once the Wattcost Beacon, sensors and antenna were installed, the app started displaying my real-time energy cost and savings per hour, current use in watts, net import-export watts and CO2-e kg per hour. There was also a small graph indicating current tariff and peak and off-peak tariff times for today. Pressing the solar icon changed the real-time display to solar specific information, revealing solar savings per hour, solar generation in watts, percentage of solar utilisation and CO2-e kg/hour offsets. Whilst the Wattcost user interface is beautifully designed and easy to understand, I feel it may have been better if both home energy use and solar output were displayed on the same screen to quickly see the net difference. However, I later realised the actual net cost & savings amounts and net watts were already being calculated and displayed on the home screen by swiping right-to-left on the centre of the screen. During the weeks following the product installation, I could start to see why Wattcost describes itself as “intelligent energy for consumers”. Presented with simple, easy to understand information showing my energy costs and savings in dollars, kWh and CO2-e in real-time, daily by hour, weekly by day and quarterly by week. When I first had my solar system installed, I built all these complex spreadsheets that required me to manually read the electricity meter every day to keep the numbers up to date. No more! Every week I received smart savings notifications, and I’m guessing Wattcost has some built-in intelligence that uses behavioural and weather forecast data to precalculate when it’s best to use major appliances. For example, I received a message to use my washing machine and dryer between 8:30am and 1pm the following day to save an extra $5.20. The app also recommended reducing my pool pump use to 4 hours a day during winter to save $103. Given summer is now on the way, I received a message a few days ago to change the pool pump timer back to 8 hours to ensure the water in my pool stays clean!Wattcost also appears to have most of the tariff plans from the energy retailers servicing my area, and it suggested a better feed-in tariff with a notification ‘Change energy plans to earn $253 more on your solar exports this year’. The ‘Ideas’ section of the app showed the available calculated options and plan switching was done in just a few clicks in the app! No paperwork, phone calls or hard-selling. Bloody brilliant! 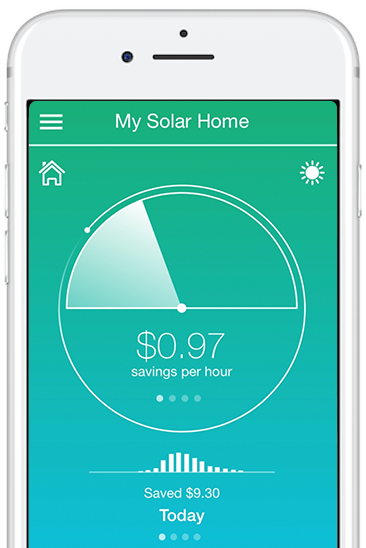 In the ‘Compare’ section of the app I was able to follow the performance of my solar system and how much money I had actually saved versus costs. I have two 7kW PV solar systems, so almost managed to go ‘off-grid’ by saving as much as I paid to purchase electricity! Interesting stats to know. What I couldn’t find in this section was a comparison with similar sized solar systems to see if my solar is performing at its peak (like PVoutput.org). I mentioned this to the Wattcost team, and they said it would automatically appear when there were some other solar systems in my area with a Wattcost. The Wattcost app allows the user to adjust the number of notification messages, by setting a target monthly cost budget (auto-mode) or from several manual levels. I wanted to test the true potential of the product and set notifications to ‘Pro-Saver’ to see how much I could really save. Over the following weeks, I received a wide range of notifications, with the most interesting for solar owners being savings alerts like: “You’ve got excess solar power. Start a washing load in the next 4 hours to save an extra $4.80”. The guys from Wattcost told me they use ‘geofencing technology’ to reduce unactionable messages, which basically means the app can detect from the phone’s inbuilt GPS if you are home to action the message.With Ausgrid reporting 51% of solar systems in their distribution network are unreliable, it’s great to know if your solar system is working correctly given the amount of capital involved! One day, about to leave for the office, I received a ‘Solar System Failure’ alert recommending an inverter reset to re-establish the grid connection to save $5.93 today. Which I promptly did! An inverter failure actually happened on my system a number of times. Before having Wattcost, I had no idea this issue was happening as often. Now that I have these stats, it would be easy to contact my solar installer to request a service for my solar system. Another smart notification said my home’s solar performance had dropped significantly over the past month. I asked Wattcost how they were able to detect this issue. The answer was not surprising. Wattcost’s algorithms compare the BOM measured UV-index against historical solar generation for similar sized systems in the same area. In my case, it was caused by a low hanging branch from our beloved backyard gumtree, costing $21 per month by shading several solar panels during certain times of the day. In the 10 weeks since installing Wattcost, I have saved $259.63. At least this is what Wattcost reports, making a pretty good case by tagging the smart notifications with the associated savings. Changed to a better feed-in tariff plan, saving an extra $19.41 over the past month. Saved $112 by changing the pool pump timer to run 4 hours per day during the winter months. Wattcost calculated the inverter failure resets saved $82 (to be honest, I lost count of the actual number of resets, but Wattcost says they alerted and I actioned 12 out of the 16 resets). 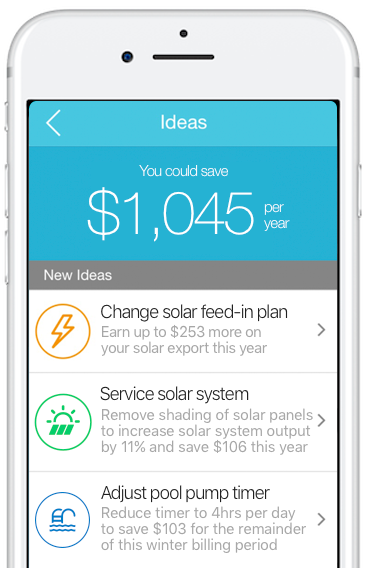 Ultimately the app added all the other items, including the benefits of using excess solar power during the suggested times to match the calculated savings. 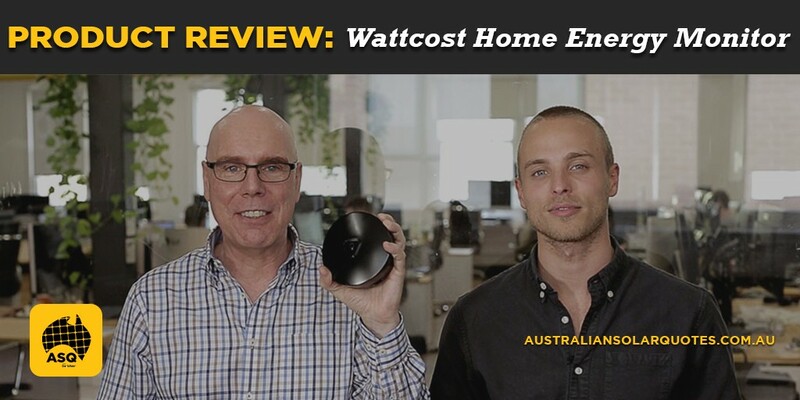 As the Wattcost for Solar 1-phase product is currently available for pre-order at $299, it looks like their claim that Wattcost simply pays for itself will ring true for many Australian households. 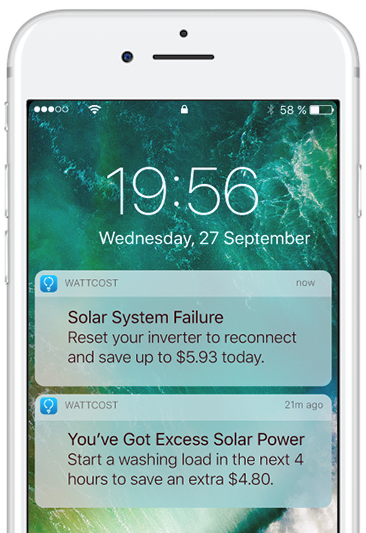 Wattcost’s new intelligent energy technology will give non-solar and solar owners unprecedented control over their home energy costs. The combination of 24/7 cost analysis and personalised recommendations will be welcome relief to many Australians struggling with rising electricity prices, increasing complexity of comparing energy plans and solar system offers for the best deal. What really impressed me about the Wattcost product was how well the learning technology adapted to my lifestyle and clearly identified savings and safety opportunities I could simply act on. I’m really looking forward to some of the future product features Wattcost sneak previewed. The ‘solar matching’ technology looked especially interesting for consumers considering solar for their homes, and integration with popular voice assistant platforms will build on what is already a solid home automation offering. For solar owners, Wattcost is easy to understand with energy savings calculated in real-time, so users always know how well their system is performing and when to use appliances to maximise their solar savings. I believe Wattcost will be a great addition to any energy conscious household. If you want to pre-order a Wattcost, jump online and visit their Made in Australia campaign by clicking here. The team at Wattcost have now smashed their crowdfunding campaign goal of $150k to get product tooling and local manufacturing underway. And, as we wrote their first solar product review, are offering our readers the opportunity to purchase a Wattcost for their solar (or non-solar) home with an extra 10% off the Early Bird price! Enter promotion code ASQ10 during checkout to receive this extra discount. I took an interest in the Australian energy sector close to ten years ago and since then have monitored the trends, technologies and direction of the Australian Energy Market. 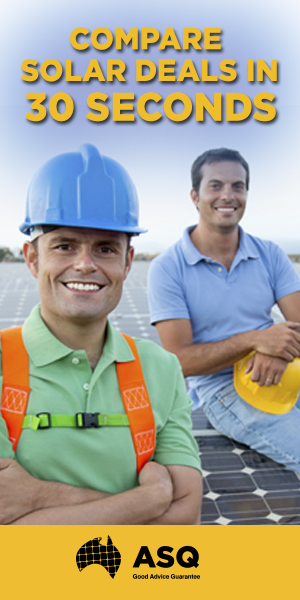 I was drawn to the Australian solar market in 2008 and since then have worked heavily in the field. I am partnered with national and international solar energy companies, from manufacturers of solar panel and inverter technology, online software developers that introduce tools to quote, monitor and manage solar power systems and media organisations who like myself, closely monitor the solar and renewable energy sector.